Super Eagles defender Leon Balogun has been handed number 14 jersey by Brighton & Hove Albion ahead of the Premier League debut against Watford. The 30-year-old Nigeria international move to Falmer Stadium as a free agent following the expiration of his contract with Bundesliga outfit Mainz 05 in the summer. Balogun wore number 14 shirt while on the books of SV Darmstadt 98 during the 2014-2015 season, but the most recurring number he has played with is three, which he put on during his spell in Türkiyemspor Berlin, Fortuna Düsseldorf and his last club Mainz. 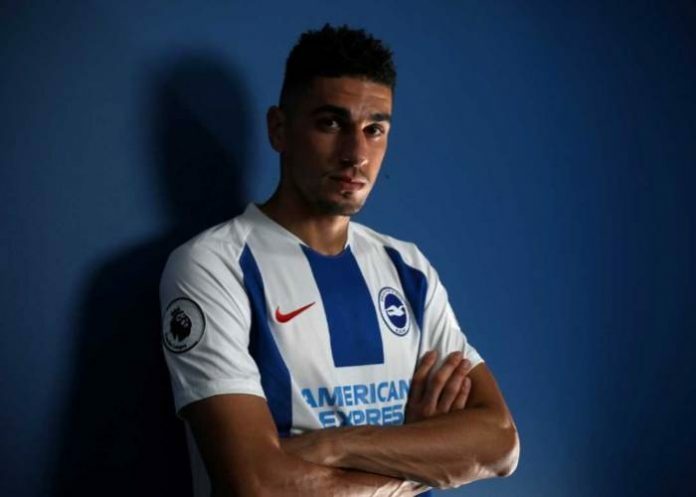 Super Eagles star is hoping to make gaffer, Chris Hughton’s line-up when Brighton visits Vicarage Road on Saturday for their first Premier League game of the season. Balogun played 52 times for Mainz 05 and scored only once during his three years stay with German club and also feature in all Nigeria group game in 2018 FIFA World Cup in Russia.